An elegant 3 bedroom 2 bathroom retreat in the desirable and highly sough after community of Rotonda. Peaceful and quiet with a private south facing pool. 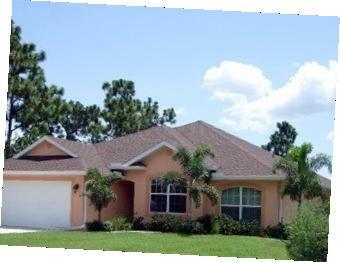 This luxury air-conditioned 3 bedroom villa located on the Gulf Coast, Central West Florida was build and furnished to the highest standards and is located in the beautiful community of Rotonda. The home features 3 bedrooms, 2 full bathrooms, sleeps 6 with a private south facing pool. The location is quiet, peaceful and picturesque and the area is abound with miles of dazzling white beaches with turquoise seas and golf courses all within short driving distance. It is a perfect to relax and unwind. The south facing pool gets the sun all day. The pool is looking onto a green belt with an abundance of wildlife. The pool area provides total privacy and is not overlooked. There is also a child safety fence if required. Sun loungers are provided for those lazy Florida Days and an outdoor dining set for Al Fresco dining. Electric Pool Heat is available if requested. A Gas BBQ and patio furniture will ensure that you can truly live the Floridian outdoor lifestyle.The lanai area has an outdoor speaker system so you can enjoy your choice of music while relaxing by the pool. The king size master bedroom has a 32 inch HDTV flat screen with dish network, audio control panel, ensuite bathroom and direct pool access and a walk-in closet. The second bedroom has a queen bed, electronic light dimmer, audio control panel, closet and 24" HDTV flat screen. 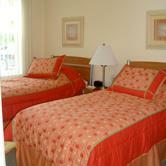 The third bedroom has two twin beds with a 26" HDTV and Play Station 3 and a closet. The two bedrooms share a family bathroom with a full bath and shower. The kitchen is fully stocked with stove, fridge/freeze with ice maker and filtered water, microwave, dishwasher, blender, toaster, coffee maker, and cappuchino/espresso maker. Amenities include a whole home audio system with illuminated keypad controls, Apple computer with webcam for skype international calling, wifi internet access, 42" HDTV in living room, Play Station 3, Dish Network with HD channels, Blu-ray player, Ipod Dock/CD player with tuner. There are even two adult bicycles with helmets for use. A luxurious villa for your next holiday!